On the 11th of January football fans and the media awaited the announcement of the annual ceremony of the Ballon d'Or in which the player with the most votes is crowned World player of the year for a particular seasonal year. Last year we witnessed Cristiano Ronaldo deservedly lift his 3rd Ballon d'Or title of his career and he displayed much gratitude to his followers and global fans for their continued support. 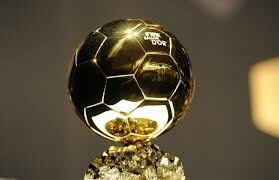 We gave commiserations to Lionel Messi and Franck Ribery who finished 2nd and 3rd respectively. They unfortunately fell short at the final hurdle in what was a hotly contested competition for the World Player of the Year crown. 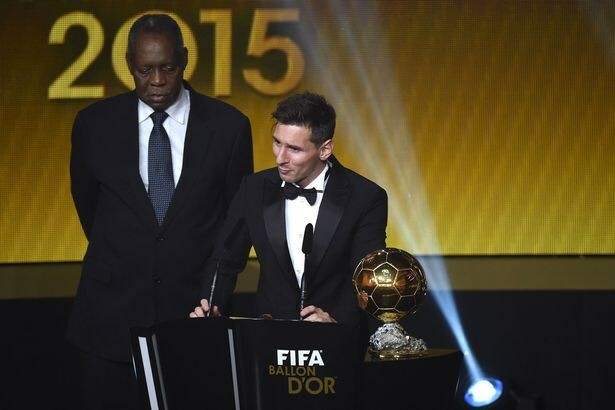 This year was a whole different story but one we have witnessed many times over the previous years, a Messi victory. Lionel Messi was crowned 2014/15 World Player of the Year and deservedly so according too many journalists and football fans globally. Many critics say this victory was much anticipated, based on recent statistics – either Ronaldo or Messi having won the Ballon d'Or over the past 8 years. 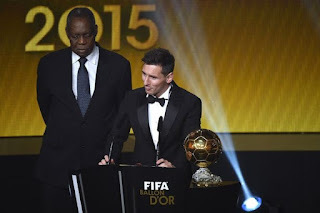 So what exactly were the fundamental reasons why Messi picked up his 5th unprecedented Ballon d'Or title? Well the stats of the 2014/15 are very much self-explanatory. Messi, once again reached the heights that we have so often see him play during his fruitful and flourishing career. Some say that Messi was virtually unplayable against and the stats do support this argument. Messi in 2014/15 recorded 61 games, 52 goals and 26 assists. The stats do speak for themselves and although this may not have been Messi's greatest year or season in terms of goals or assists he certainly displayed his exhilarating ability to adapt for the good of the team and transition from the centre-forward position to right-wing in order to allow for the introduction of their threatening new acquisition, Luis Suarez. It also very important to consider the point that, aside all the stats and individual records, Messi won simply because of his willingness to play for the team and this was a master stroke by the Argentinian genius, as this meant that the Barcelona team gelled together and worked for each other in every single game they played. This resulted in their 5-trophy overhaul and the men from Spain made a statement to other teams around the world. 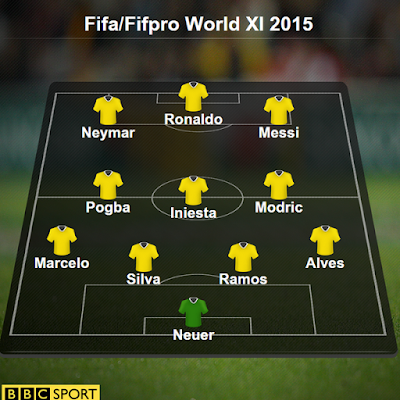 So how did Ronaldo and Neymar fall short? Well in the case for Ronaldo, it was year of woes. He was unable to exert the greater influence over the Madrid first team that we normally see him do. Real Madrid was a shambles and this directly hindered Ronaldo’s chances of winning the Ballon d'Or. Although he demolished Messi in terms of stats recorded over the past year with, 56 games, 61 goals, what he didn’t do was play for the team. What many critics like Guillem Balague have argued is that Ronaldo wants the team to play for him but the problem with Real Madrid is that it is a team full of many egos that are preventing the team from successfully gelling together and being a more effective team play force. So how is it that Neymar failed to win yet he did nearly the same job as Messi? Well personally I would have to say that it was inevitable that Neymar would be defeated. He is not quite the main man yet at the Camp Nou, Messi still is, therefore he will have to wait his time until Messi passes the mantle down to him. Some have even suggested that Neymar failed to win because his reputation precedes him. Messi has outshone him because the Argentinian is ever popular with the fans and that stronghold will be hard to break. The world team of the year looked ever strong with a clear Real Madrid/Barcelona stronghold in the team as they both had 4 players each present. The rest of the team was filled with representatives from Serie A - courtesy of Pogba, Ligue 1 – courtesy of Thiago Silva and the Bundesliga – courtesy of Manuel Neuer. The quad-representatives of Barcelona were there for obvious reasons, they played an integral part to the overwhelming success of Barcelona in the past year. We witnessed Alves return to his best, Neymar turning up again and again and producing thrilling performances, Iniesta taking over the reins from Xavi and acting as the midfield engine of the Barcelona midfield, and well for Messi not to be present in this team would be a great injustice like Carlos Puyol stated. He had an electrifying season and you only need to look at his recorded stats. The men from Madrid endured a shambolic and difficult season, they did not manage to win a single trophy over the year but the 4 representatives they have in this team still stood out and recorded consistent performances. Sergio Ramos remained the brick of the Madrid defence and Marcelo, in no small part, contributed largely to this as the Brazilian was really the standout fullback of the year. Modric was extremely effective in being the engine of the Madrid midfield and just as in the case for Messi, for Ronaldo not to be present in this team would again be a great injustice. The Portuguese superstar did record the world leading stats in the 2015 year. Pogba had a fantastic season once again and his dazzling performances attracted interest from several ‘heavyweight’ clubs across Europe such as PSG, Bayern Munich, Real Madrid and mostly Barcelona. Thiago Silva was heavily influential in orchestrating PSG to another Ligue 1 title and as ever Manuel Neuer, the man between the sticks for Bayern, simply displayed his goalkeeping talents. Particularly his world famous, cat-like reflexes – it’s truly amazing and a privilege to watch. After another year of magnificent football, Lionel Messi has won the fifth Ballon d'Or of his exceptional career and has proved once again to be known as one of the best players to have hailed in the modern era of football.